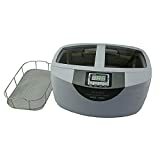 If you have delicate things with a lot of nooks and crannies, an ultrasonic cleaner is great for polishing them. Your items might include jewelry, eyeglasses, watches, coins, dentures—even tools and instruments. 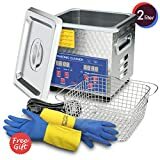 An ultrasonic cleaner employs a cleaning solvent that is appropriate for the item being cleaned—matching both the type of jewelry, and the soiling or oxidation that has accumulated on it. In the machine, an ultrasonic oscillator vibrates at around 40 kHz, which generates microscopic vacuum bubbles in the solution. The vacuum bubbles hit the surface of the jewelry, and implode, removing the grime that has built up on the jewelry. Since the vacuum bubbles are so small, they manage to enter little crevices and scrub the jewelry much more precisely than what you would achieve in cleaning by hand. Also, it can be much cheaper than having the jewelry cleaned professionally. You'll find digital and advanced professional cleaners, in addition to a "no-frills" ultrasound cleaner with basic functionality. 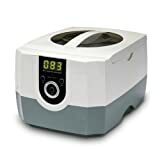 Standard: This is best if you're not so technically-minded.This will have the bare essentials, featuring push-button timer settings for the cleaning time, and an on/off switch. Digital: You'll prefer this for the exactitude, even though it's somewhat more complex. These have the functionality of the standard cleaners, but with a digital display to set the cleaning time. 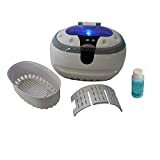 Special Function: If you have a particular item that you clean all the time (for example, contact lenses, dentures and orthodontic apparatus, or just to clean manicured nails), you'll need a specialized ultrasonic cleaner. Professional: You'll employ professional ultrasonic cleaners for commercial/industrial/laboratory applications (optical labs, dental labs). They feature a larger tank size (up to 9 liters! ), are more efficient, and have special provisions to not damage delicate jewelry and instruments. They also can run for 30 minute cleaning cycles, and have variable temperature settings. 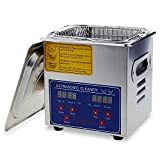 Capacities of ultrasonic cleaners: If you can manage to immerse them in the solution bath, you can use an ultrasonic cleaner can clean even larger objects, . Ultrasonic cleaners come in a variety of sizes, ranging from 1 pint, to ¾ gallon. You can buy one according to the size and quantity of jewelry and silverware that you need to clean. 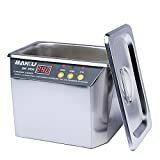 The Famili ultrasonic cleaner has a 600 mL capacity. Use the basket: Don't put any jewelry or metal object on the bottom of the unit without the basket. That can damage the cleaner. 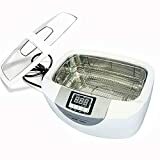 Don't use the ultrasonic cleaner for too long: Don't use the ultrasonic cleaner for too long--it may damage the jewelry. The ultrasonic cleaner is not meant to be used for more than 3-5 minutes (some have 10 minute setting). 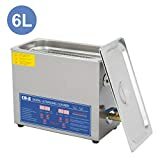 There are ultrasonic cleaners that have a number of interval settings: for example, 1.5 minutes, 3 minutes, 5 minutes. They generally have an auto-shutoff feature. Cleaning solution: Get the right solution for the object you are cleaning. There are special solutions for silver, brass, and eyeglasses/jewelry. 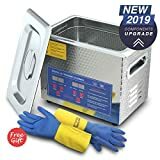 Some people don't like using certain solutions in the ultrasonic cleaner, because they are not “environmentally friendly”. But some people just use dishwashing liquid with water, and get fine results. Gemstones that have an overlay to produce a certain color. Porous gemstones such as opals, emeralds, pearls, and amber. Gemstones that are glued into a piece of jewelry. Gemstones that are held in place with prongs that might be loose. Professional jewelers will usually check a piece of jewelry's gemstones before cleaning, to make sure that none of the stones are loose. the temperature of the solution. These things could be particular to the type of jewelry or silverware that you are trying to clean. Other uses: You can use the jewelry cleaner on glasses, lenses, and other optical devices. It can also be used on dental appliances (braces, dentures), medical appliances, and even engine parts and compact disks/DVDs. People even use it for cleaning their fountain pens! Warnings: Don't use an ultrasonic cleaner if there is a concern that it will damage the object. There are ultrasonic cleaners that can be used for eyeglasses, but the type of lenses matter. If the lenses are made of polycarbonate plastic, they should not be cleaned in an ultrasonic cleaner. Also, don't use the cleaner on mechanical watches--it can damage the mechanism and affect the accuracy. Magnasonic—has their main office in Niagara Falls, Ontario. They are manufacturers of a number of electronic devices: video projectors, film scanners, jewelry cleaners, CD/DVD players, and more. Ivation—is based in Ridgefield Park, New Jersey. 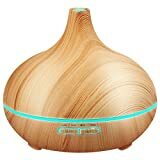 They make a number of innovative electronic products for the home and kitchen, health and beauty, and for travel and office. iSonic—are makers of ultrasonic cleaners. Their devices are divided into four series: standard, digital, special function, and professional. They also sell a special cleaning solution for their machine. Famili—are makers of a number of electronic home and kitchen aids. 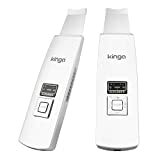 They make digital cooking thermometers, bathroom and kitchen scales, jewelry cleaners, doorbell chimes, luggage scales, and more.